Description: INVESTOR ALERT!! Solid 3 bedroom, 3 bathroom rancher with basement on a almost 11000 Sq. FT. lot with 93 foot frontage in QUEEN MARY PARK area. Main features: Spacious living room with laminate floors, newer kitchen with Island and eating area, 3 bedrooms, 2 baths and laundry. Basement is partially finished with a games/family room, 2 piece bath and easy to SUITE. Large, South facing, fenced yard with detached carport and storage. Future SUBDIVIDING potential for Row homes(check with city). Front and back lane access. 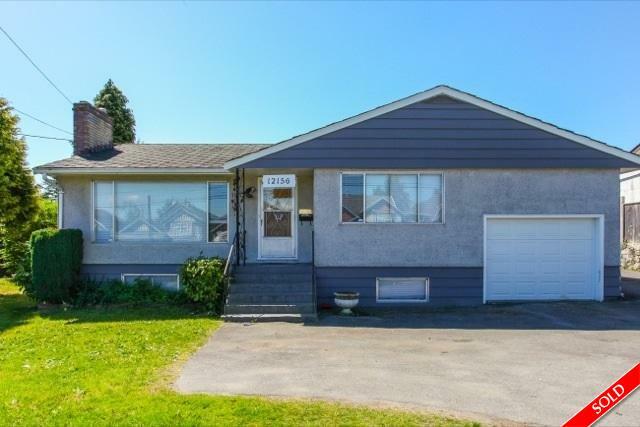 Close to schools, transit, shopping and skytrain. Bring the R.V. Call for your private tour.